Happy New Year and Happy early Valentine’s Day! 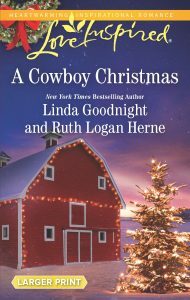 I’ve wanted to write a Valentine’s story for years, and was lucky enough to do so before my beloved Harlequin Western Romance line closes this year. WRANGLING CUPID’S COWBOY is not only a holiday romance, it has allowed me to share my fascination with the age-old art of farriering. 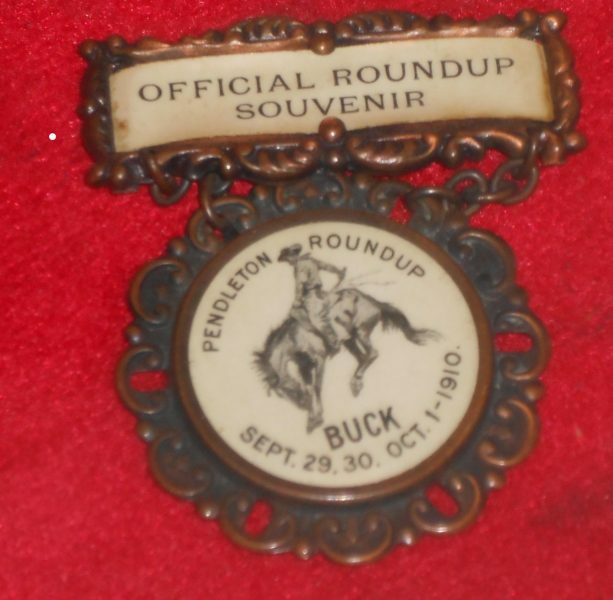 Many moons ago, I worked on a large reining horse ranch in Northern New Jersey. Up until that point I had always thought of farriers as people who trimmed hooves and put shoes on horses. 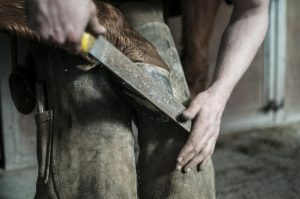 I hadn’t realized that many farriers work alongside equine veterinarians and provide therapeutic and corrective shoeing to horses suffering from hoof disorders, trauma, neglect and other injuries. The reddish orange glow of our resident farrier’s forge drew me in and I became captivated watching him precisely sculpt each shoe with what seemed like the most primitive of tools. 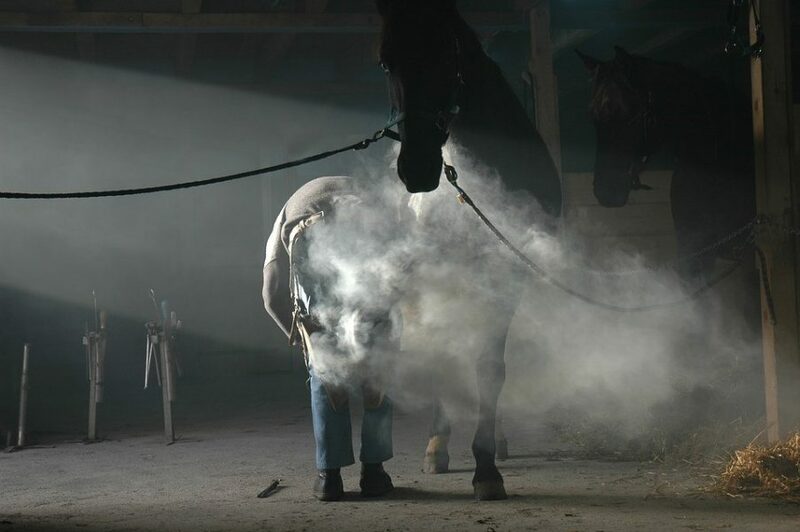 From the first rise of steam when the shoe met the horse’s hoof, I knew I wanted to write a farrier story. Back then I had always assumed it would be about a male farrier because that’s all I had ever heard about. Years later, I moved to the deep south and discovered most of the farriers in my area are women. The story idea once again began to rattle around in my brain, but I hadn’t given it the attention it deserved until I stumbled across a photo of country singer/songwriter Kacey Musgraves with her horse Mismo. The name Delta Grace immediately sprung to mind and I knew I had my female farrier. I just needed a rugged family man to round out my story…and like a sign from above, singer Luke Bryant began playing on the radio. The man epitomizes family and I had all the inspiration I needed to write WRANGLING CUPID’S COWBOY. While this is by far my most heart wrenching story to date, it was one of my favorites to write. I hope you enjoy reading it. Farrier Delta Grace has a strict rule about not getting involved with clients. 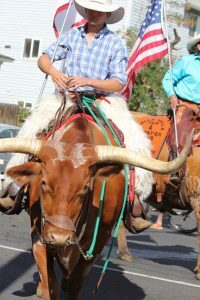 Rugged ranch owner Garrett Slade is exactly why. The attraction between them is instant. He’s also her biggest client and the epitome of complicated. A widowed father of two, he’s moved back to Saddle Ridge, Montana, for a fresh start. Despite her better judgment, Delta can’t stay away from Garrett or his kids. And it’s not long before her heart melts completely, along with her rules. However, when life deals Delta a devastating blow, she needs to distance herself from Garrett—their family has already experienced too much heartache. All is not lost, though, because with Valentine’s Day around the corner, love may actually conquer all! 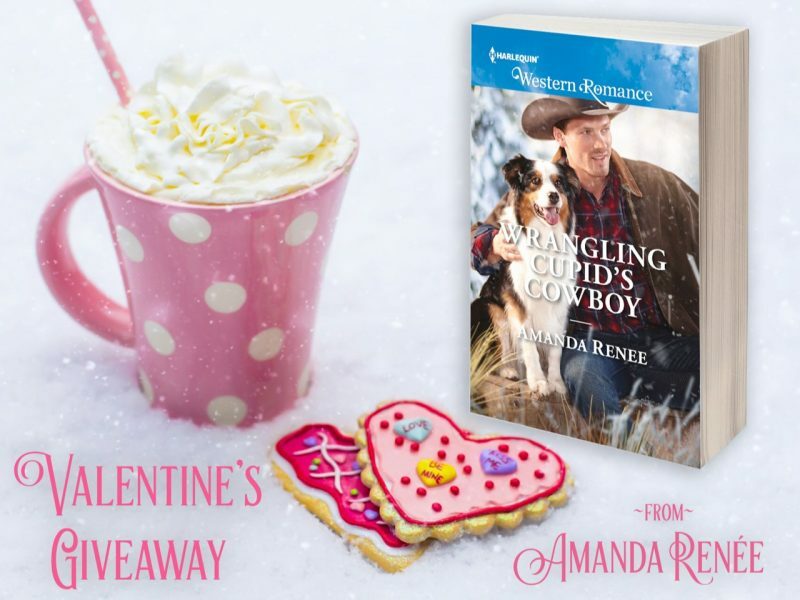 Want to win a copy of WRANGLING CUPID’S COWBOY? Tell me what fascinates you most about ranch life in the comments section and one winner will be randomly chosen to receive a copy (your choice: digital or paperback). Amanda Renee was raised in the Northeast and now wriggles her toes in the warm coastal Carolina sands. Her career began when she was discovered through Harlequin’s So You Think You Can Write contest. When not creating stories about love and laughter, she enjoys the company of her schnoodle—Duffy—camping, playing guitar and piano, photography and anything involving animals. You can visit her at amandarenee.com. We’re happy to have another wonderful guest with us today. 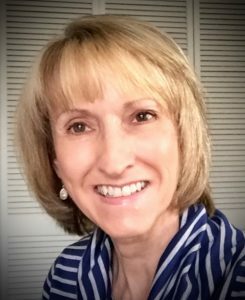 Award-winning author Myra Johnson writes emotionally gripping stories about love, life, and faith. 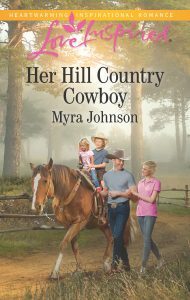 Myra is a two-time finalist for the prestigious ACFW Carol Awards, winner of Christian Retailing’s Best for historical fiction, and winner in the Inspirational category of the National Excellence in Romance Fiction Awards. Originally from Texas but now residing in the beautiful Carolinas, Myra and her husband love the climate and scenery, but they may never get used to the pulled pork Carolinians call “barbecue”! The Johnsons share their home with two very pampered rescue doggies who don’t always understand the meaning of “Mom’s trying to write.” They have also inherited the cute little cat (complete with attitude) their daughter and family had to leave behind when they recently moved overseas. I wasn’t always a city girl. The first four years of my life were spent on my parents’ farm outside Mission, Texas, in the Rio Grande Valley. My two brothers, already adults when I came along (surprise!! 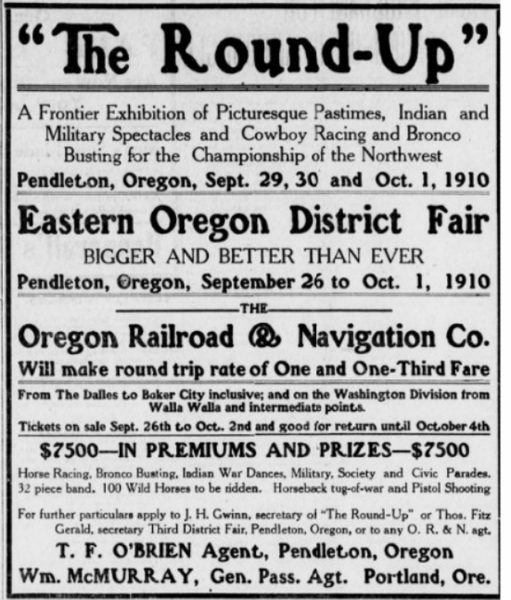 ), lived on the property and had their own horses, Red and Rusty. He did. Except Mommy still had hold of my ankle, which pulled me off Rusty’s back and headfirst into, um, something very, very soft and squishy. 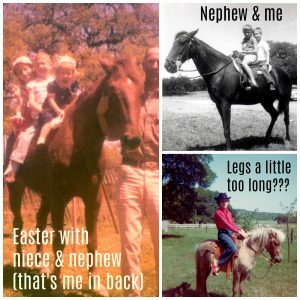 So began my lifelong love of horses—with one significant problem. Shortly before I turned four, my dad passed away, and soon afterward Mom moved us into town. From that point forward, my future as a city girl was fixed. It wasn’t long before both my brothers left the Valley and settled in the Texas Hill Country. 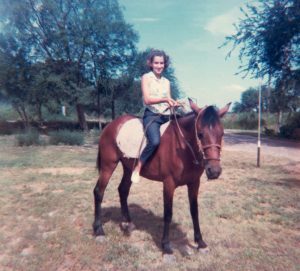 The younger brother, married with three children, had a small ranch with horses and cattle, so whenever my mother and I visited, I got to be a country girl again, even if only for a few days. The years passed, and when I was a young teen, circumstances brought my mother and me back to the farm that was my first home. Still, my mother wouldn’t agree to having a horse—too much responsibility, she insisted. Then one day a stray horse wandered up our driveway. My mom placed a lost-and-found ad, but for days no one responded. The horse looked gentle enough, and I was itching to try riding him. Finally I talked my mom into helping me, so with an old rag rug for a saddle and makeshift rope reins, I carefully climbed onto his back. For the next few days, we enjoyed leisurely strolls down the lane, and I was the happiest girl in the West—er, South—until a woman and her and two ecstatic children arrived to claim their missing horse. I cried to watch him go. More years passed. I grew up, got married, and had kids of my own. 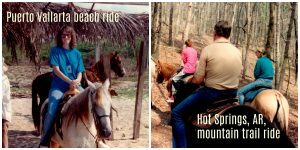 Horse adventures were limited to the occasional trail ride while on vacation . . .
. . . until the year I signed up to volunteer at a therapeutic horseback riding center. Working directly with the horses was a dream fulfilled, even more so when another volunteer encouraged me to take dressage lessons (not exactly cowgirl-type horsemanship, but nearing 50 by then, I was okay with a tamer kind of riding). My volunteer friend eventually introduced me to a horsewoman who owned a sweet old gelding that needed extra attention. When she offered to let me ride him for lessons and practice, it was the best of both worlds—a “free” horse I could ride whenever I wanted, without the responsibility of feeding, mucking stalls, vet care, etc. 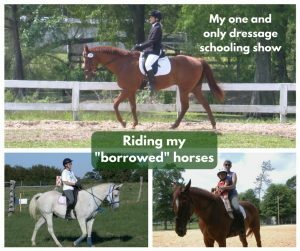 Those years of dressage lessons and volunteering at the therapeutic riding center also brought knowledge, skills, and priceless firsthand experiences. 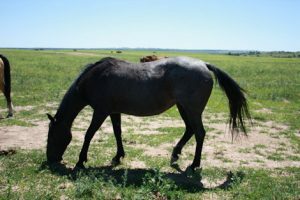 Besides the basics of horse care and tack, I learned ground driving and lunge-lining, and I exulted in the thrill of “joining up” with horses in the round pen. I could even harness a horse to a small carriage for a ride down the lane! After seven wonderful (and wonder-filled) years of such experiences, my husband and I moved far away from Texas and my “horsey” friends, and for the past eleven years I have been utterly horseless [cue the violins]. 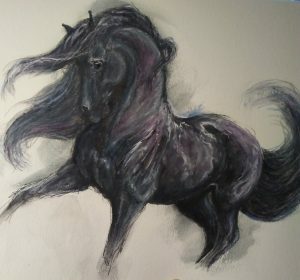 My only recourse has been to write books with horses in them, and there have been several, including my “Horseman” trilogy, set in North Carolina and featuring three handsome horsemen and the women they love. 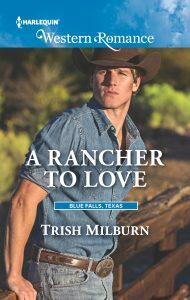 My recent Love Inspired contemporary romance, Her Hill Country Cowboy, returns to Texas and is set on a small guest ranch in the fictional town of Juniper Bluff, about an hour’s drive northwest of San Antonio. I’m delighted to give away two copies today (U.S. postal addresses only, please). You can read more about the story below. So let’s chat. Do you harbor a cherished lifelong dream? Has it come true? If so, in what ways? If not, what can you do or have you done to fill that empty place in your heart? About the book: Single father Seth Austin will do anything for his children. So when he discovers the new housekeeper his grandmother hired for their guest ranch is a former social worker, he plans to keep his family far away from Christina Hunter. Seth once almost lost custody of his beloved kids because of an overzealous social worker. Problem is his children adore Christina and her sweet service dog—and he’s starting to fall for her, too. 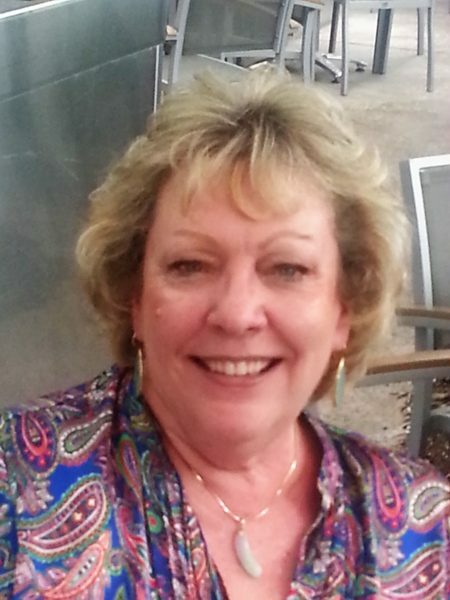 Recuperating from an accident, Christina is determined to slowly ease back into her old life. 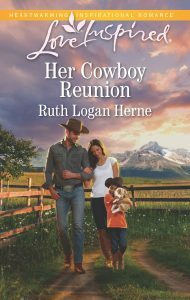 But the more time she spends with them, the more she realizes that her future might be with the cowboy and his family. 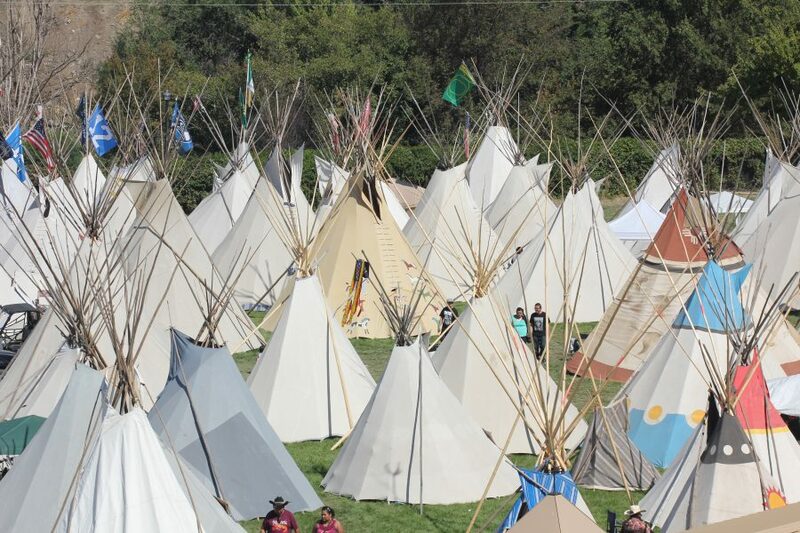 Sign up to receive Myra’s quarterly e-news updates here! 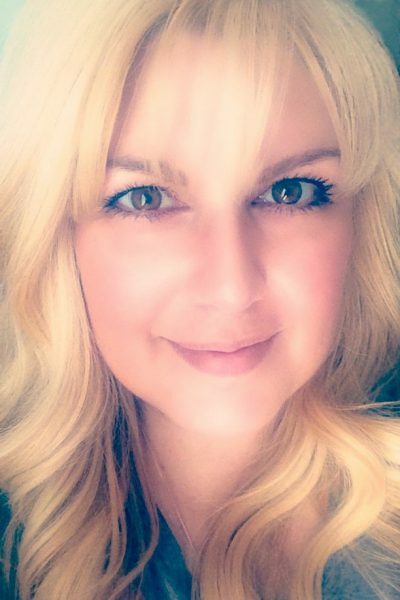 Welcome Guest – Hebby Roman!!! First, I would like to thank Petticoats and Pistols, for being kind enough to host our bestselling contemporary western romance boxed set, A Cowboy to Keep. My latest release, Border Romance is one of seven stories in the set, and it’s the third book of my On the Border Series. 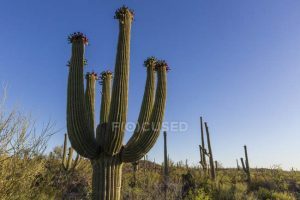 These books take place on the Texas-Mexican border and feature a ranch that trains horses for the Mexican specialty of charro riding, as well as rodeo events such as barrel racing and calf roping, and cutting horses, too. 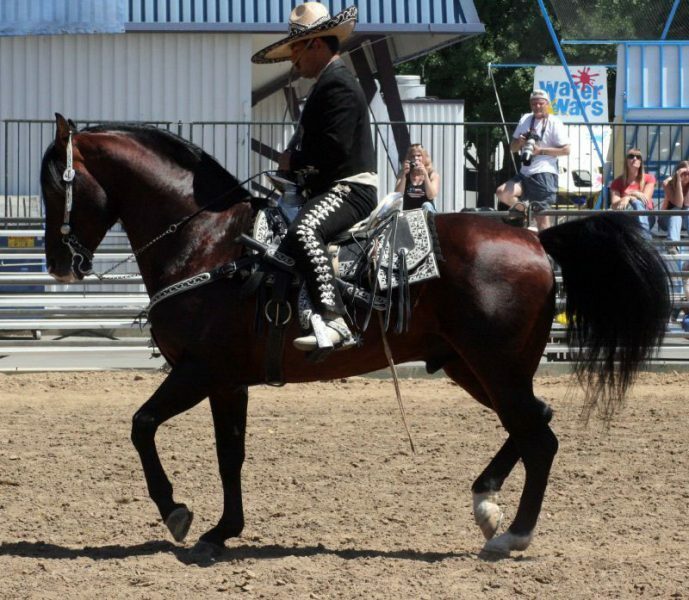 Since charro riding is not widely understood in the United States, I wanted to explain how these specialty horses perform. Charro riding is an event in a charreada or charrería, which is a competitive event similar to our rodeos and was developed from animal husbandry practices used on the haciendas of old México. The sport has been described as “living history,” or as an art form drawn from the demands of working life. Evolving from the traditions brought from Spain in the 16th century, the first charreadas were ranch work competitions between haciendas. The modern Charreada developed after the Mexican Revolution when charro traditions were disappearing. 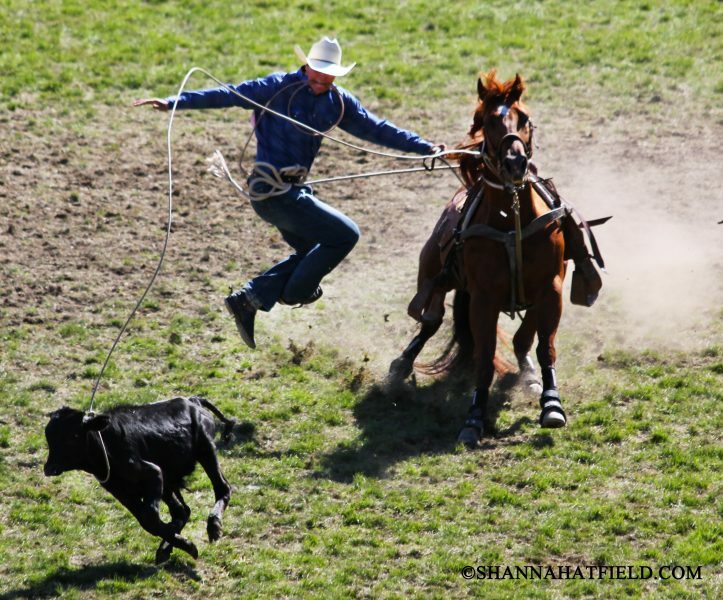 The charreada consists of nine events for men plus one for women, all of which involve horses, cattle or both. 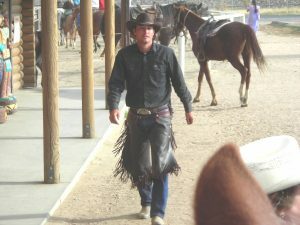 The participants in the charreada wear traditional charro clothing, including a closely fitted suit, chaps, boots, and a wide brim sombrero. The body-fitting suit of the charro, while decorative, is also practical; it fits closely to insure there is no flapping cloth to be caught by the horns of steers. The botinas, or little boots, prevent feet from slipping through the stirrups. Spurs are worn on the botinas. 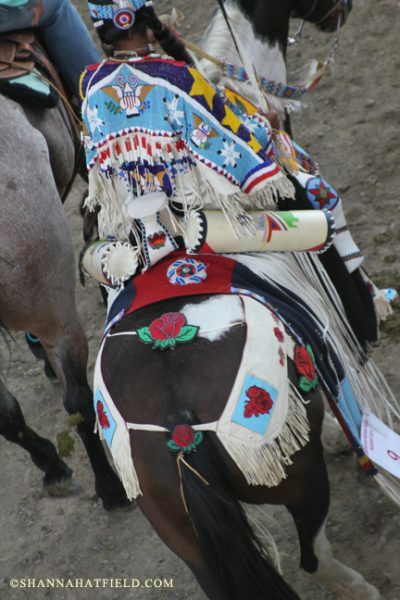 The saddle of the charro has a wider horn than that of that of a western saddle, which helps safeguard the charro from being pitched off and from being hung up. There are two grips at the back of the saddle, in case the charro needs to have a handhold during certain trick maneuvers. In a charreada, the most common competition is called cala de caballo or reining. Literally the demonstration of the horse rein, as the horse is required to show its talents in the canter, gallop, slide stop, spins on its hind legs as well as backing. It is one of the hardest events to master and also the most elaborately scored. The running slide, left and right spinning, rear leg pivoting, and backing abilities are tested. The charro rider and horse are evaluated carefully. 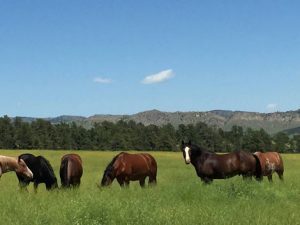 Horses are judged for vigor, manageability, docility, gait and obedience. Carriage of head and tail are all critically evaluated and scored accordingly. 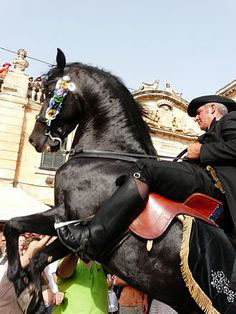 Charro horses also perform tricks, very similar to those of the famous Lippazzaner stallions in Austria. 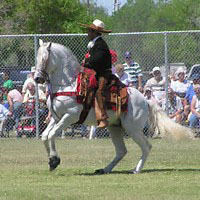 Trick riding such as rearing on signal, backing up on the horse’s two back feet, and spinning, have given these horses the moniker of “dancing horses.” In addition, they can be trained to prance in time to music, making them appear to dance with the strains of popular Mexican ballads. arena. And of course, if you’re a horse lover, all charro horses are selected for their beautiful conformation and flowing manes and tails. For you western lovers, I hope you have enjoyed this explanation of a fascinating sport, featuring beautiful and very talented horses. And I hope you will read more about charro horses in my story, “Border Romance.” You can find more about my books at my website or my Facebook page. For beautiful pictures of charro horses, visit my “A Cowboy To Keep” Board on Pinterest. Don’t miss this great collection from USA Today, Amazon Bestselling, and Award-Winning authors!! Available here. 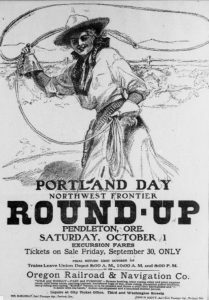 Thanks, western readers for stopping by and chatting with me today on Petticoats and Pistols. Charro horses are mostly an unknown quantity for most rodeo goers, unless you’re in the Southwestern part of the United States, close to the Mexican border. These are beautiful and very talented horses that I wanted to highlight for readers. 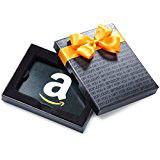 If you leave a comment, you will be included in the drawing for my Giveaway today: a $25 Amazon Gift Card. So, please, fire away with those comments or questions!